The way you treat a man at work will hugely affect how well he will perform. That is the bottom line. If you want to get the most out of the men you either lead or work for you need to learn to treat them with respect. Respect is a huge key to a better work life. A man needs to know that he is enough and a man needs be respect. These needs are so important that without them a man will be crippled. If you can understand how to work with men then you will have more success than women who don’t understand a man’s needs. The Bible clearly states the needs of men and women in a marriage setting. Ephesians 5:33 says, “Nevertheless let each one of you in particular so love his own wife as himself, and let the wife see that she respects her husband.” Respect is their fundamental need and they need it both at home and in the work place. When respect is absent a man will naturally show harshness and hostility in varying degrees. Disrespecting a man emasculates him and you will not get the desired result as a woman in business if you go around emasculating men. Respect powerfully motivates a man. If you want to motivate the men in your workplace or a male client then show them respect on a regular basis. It’s one thing to say that you should respect a man but for many women this simply doesn’t come naturally. You will need to work at this. Here are some practical tips for how you can show respect to the men in your world. A woman who constantly second guesses a man is annoying to the man. We, as woman, tend to always try to fix men and we even try and do this in the work place. If you want a good working relationship with men give them credit where credit is due. Boost their ego. Mention how impressed you are with their abilities. Say things that give them a lift and show respect for their abilities. Even if you can do it ten times better, just show them respect for what they are able to do. Men need to be left to figure things out for themselves. Once they have succeeded they will enjoy a great sense of accomplishment and will feel that they have conquered. Men need to be ‘it’ much more than women, who need to be liked. If you have male superiors then it is essential to show them respect for their position. You don’t need to respect their character or their bad behaviour if they are up to no good, but you do need to respect their authority over you. It appears to have become fashionable and funny to disrespect men in public. Women laugh and make fun of men in front of their work colleagues, TV and movies make this sort of thing look funny but actually it deeply wounds the men. Make every effort to show respect to men in public. Cultivate a lifestyle of sincere respect for men. Honour them and show them respect even behind their back. Don’t become two-faced just so you can get what you want from them. That is not at all what we are aiming for. Some men are real jerks and you might think they don’t deserve respect, especially when they treat you poorly. In these cases don’t respect what they do but intentionally respect what is good in them. Soon enough they will become the person that you have respected and the silly jerkishness will fall away. Women do not naturally respect men that we are familiar with. Usually, we respect the man we meet at first but as soon as familiarity creeps in we lose that respect. It is at this point that we need to continue showing respect for him out of our own free will. In fact, it is in our sinful nature to disrespect men and to think we know better in most cases but you should not think of yourself more highly than you ought, but rather think of yourself with sober judgement. I am fully expecting an uproar about this section but may I ask that before you get upset please observe yourself. Take time to see how you truly feel about the men your work with and observe how you treat them. More often than not I suspect you will find that deep down inside you do not respect them and it is likely that you are not communicating respect to them. Don’t be upset with me, judge yourself soberly and if it’s not true for you then well done and if it is then made the necessary changes. 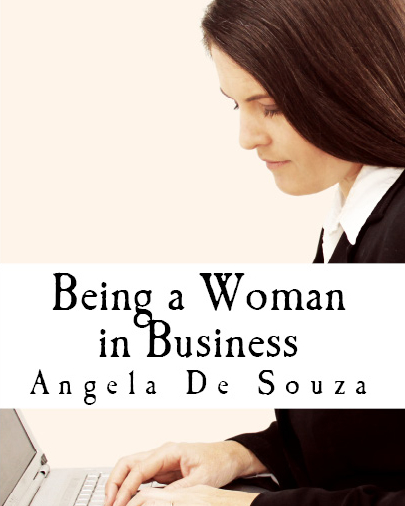 Find out more about Being a Woman in Business here or use this material to host your own Girl's Night. 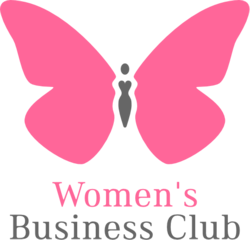 We also have a monthly business networking event called Women in Business, find our more here. I think this blog is brilliant. I have learnt to respect the men at home and the ones I work with I can confirm that respecting your male co worker really does make the working relationship more beneficial. Being new to my role within my organisation which is dominated by male workers, I have found that by showing them respect has enabled them to be more open and willing to adapt and accept the changes I wish to introduce. I do recommend all women give this a try. There is something very rewarding in being able to do it.